Lots to cover in the Compliance Jobs Report this week! 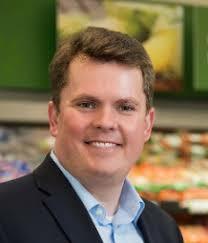 Foremost: Jay Jorgensen, chief ethics and compliance officer at Walmart, is leaving the company after six years on the job. His deputy, Dan Trujillo, takes over on Feb. 1. 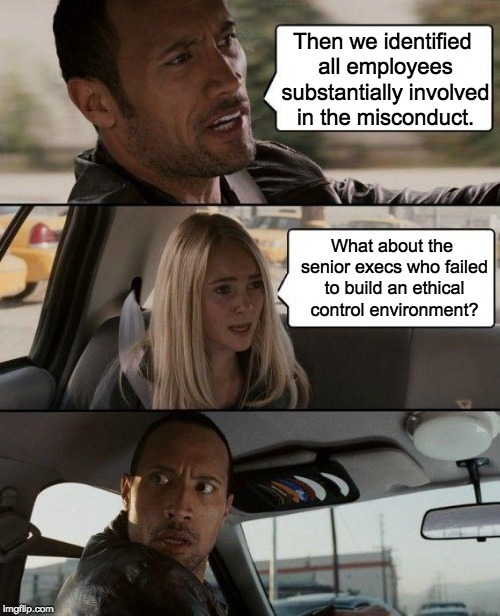 The PCAOB also has a new chief auditor; Nashville named its first chief compliance officer; plus the usual intriguing job openings and our Meme of the Week. Here’s the big news: Jay Jorgensen, global chief ethics and compliance officer at Walmart, is leaving the company after six years there to pursue other opportunities. Rachel Brand, who joined Walmart as chief legal officer in February, announced the news Friday to Walmart employees. Jorgensen will be succeeded by Dan Trujillo, who has been the No. 2 ethics and compliance executive at Walmart for six years as well. Brand’s message to employees says Trujillo will take over as top compliance official on Feb. 1. Before joining Walmart, Jorgensen was a partner at law firm Sidley Austin. In his time at Walmart Jorgensen also led a compliance department of thousands, and spent more than $800 million to reform the company amid its long-running FCPA investigation. So whatever he’ll do next, I don’t suspect Jorgensen will be hurting for work. The Public Company Accounting Oversight Board has a new chief auditor: Megan Zietsman, who will report for duty after the new year. Zietsman has been a partner with Deloitte since 2000. She has been based in the New York area since 1994, and originally is from South Africa. Zietsman replaces Martin Baumann, who left last May. Well that didn’t take long: the City of Nashville, which announced two weeks ago that it would hire its first chief compliance officer, has already found one. Patricia Cottrell, a long-time judge on the Tennessee Court of Appeals, is taking the job. Cottrell retired from the appellate court in 2014 and since then has been hanging out at the Nashville law firm Bone McCallester Norton — which is where Mayor David Briley also used to work. We’re sure that’s just a coincidence. News from the north: Canada Deposit Insurance Corp. has promoted Dean Cosman to chief risk officer and executive vice president of insurance and risk. Cosman first joined the CDIC in 1995. Vishal Thakkar has been promoted to senior vice president and head of enterprise risk management for OCC, a Chicago-based equity derivatives clearing organization. Thakkar has been with OCC since 2016, and previously had been first vice president of financial risk. BP has promoted Joy Nagel to capability manager for ethics & compliance and business integrity. Nagel has worked for BP in Houston for nine years. Remember last week we mentioned that Charles Wright was in line to be chief audit executive at University of Oklahoma? Well, the board of regents approved Wright’s hire. Starting salary is $225,000, if you’re curious. Aakriti Kundra Baweja has left EY after seven years to join Puma Energy as regional compliance officer for Asia, Africa, and Australia. Baweja is based in Mumbai. Heath Tarbert is has been nominated by the White House to head the Commodity Futures Trading Commission, succeeding Chris Giancarlo when Giancarlo’s term expires this spring. Tarbert currently is with the Treasury Department, serving as assistant secretary for international markets. Cryptocurrency play CasinoCoin Foundation, which operates out of Isle of Man and Malta, has named Antonio Zanghi its chief compliance officer. Based in London, Zanghi has held compliance jobs with IGT, Yahoo’s Daily Fantasy Sport division, and Red Tiger Gaming. Steven Patrick is the new chief risk officer for Jenks, Okla.-based Gateway Mortgage Group. Patrick previously was managing director of Everett Advisory Partners, the Dallas-based financial adviser. The Securities and Exchange Commission has named Danae Serrano as acting ethics counsel and designated agency ethics official. Serrano has been with the SEC since 2010, serving as deputy ethics counsel since 2013. She replaces Shira Pavis Minton, who is retiring. Michele Oglesby has joined healthcare technology provider Bridge Connector as chief compliance officer. Oglesby, based in Nashville, previously was division vice president of operations for healthcare provider network Envision Healthcare. Rozanne Ballim is celebrating one year as head of financial crimes compliance for South and Southern Africa for Standard Chartered Bank in Johannesburg. Rob Schryver is celebrating one year as director of global trade compliance for Medtronic. Fahd Athar is marking his first anniversary as head of internal audit for the Sharjah Investment & Development Authority (known as Shurooq) in the United Arab Emirates. Roberta Verville is celebrating five years as chief compliance officer for Seniorlink, a tech-enabled caregiver services firm in Boston. After five years as chief compliance officer for oil services company Hercules Offshore, Bill Gordon is now a partner at King & Spalding in the D.C. area. Brian Miller has left his job as special adviser to the International Association of Independent Compliance Monitors, to join the Trump Administration in the office of White House Counsel. Merger alert! Coupa Software, a business software vendor based in Silicon Valley, has acquired Hiperos, a seller of third-party risk management software. Alas, the purchase price was not disclosed. Hiperos had been owned by Opus. Heron Therapeutics is looking for a director of compliance counsel. Job is in San Diego. Bay Area Rapid Transit is looking for an inspector general. Job is based in San Francisco, and presumably you need enough patience to ride the BART on a regular basis. Lead recruiter is Gregg Moser at Krauthamer Partners; tell ‘em Radical Compliance sent you. Arconic is looking for a director of compliance programs. Looks like the job can be based anywhere. The hire would answer to Arconic chief compliance officer Cynthia Durkin, who might be annoyed that I mentioned that, so interested parties should apply to Chris Bender in the company’s recruitment department. .
That’s all for the week ending Dec. 14. If you have a tip or want to brag about your new job, promotion, career milestone, or anything else, email me at [email protected] or find me on LinkedIn.